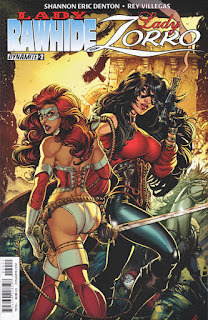 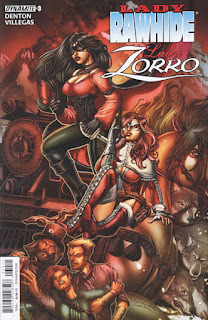 Lady Rawhide and Lady Zorro join forces to combat a group of slavers who are taking kidnapped women to sell to a brothel. 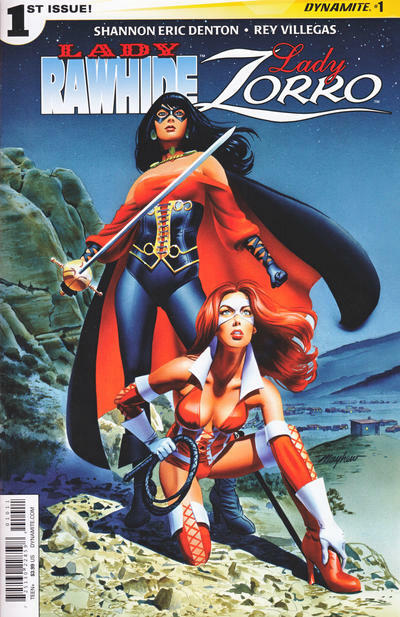 Lady Zorro is from Dynamite Entertainment’s Zorro comic, which portrays Don Diego de la Vega as half-Indian on his mother’s side. 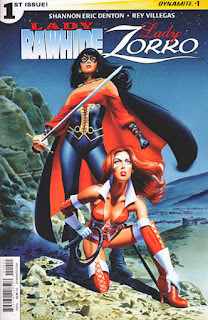 This does not fit with the continuity of either Johnston McCulley’s original tales or the continuations by later authors, and therefore Dynamite’s version of Zorro must exist in an AU.